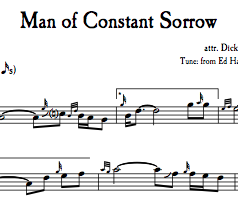 View cart “‘Star Wars’ Main Title theme (downloadable PDF)” has been added to your cart. 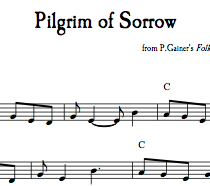 A traditional West Virginian folk hymn melody, as heard on The Piper in the Holler album. This setting is in the key of E-minor, for whistles (and flutes, etc.). Please see further below for more information and an audio sample. A traditional West Virginian folk hymn sourced from P.W.Gainer’s Folk Songs from the West Virginia Hills (via Pete Sutherland), and adapted for the whistle (or flute, fiddle, etc.). 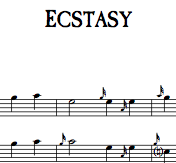 This 6/8 melody was featured on The Piper in the Holler album in the key of E-minor, played on a D-whistle. This particular setting is in the same key. 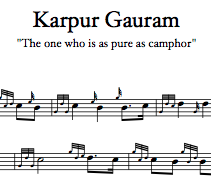 For the version in B-minor (for Scottish-style pipes), please see here. 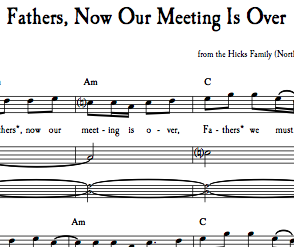 Chord symbols are included in this setting, but not the lyrics to the hymn.